Vermaelen made matchday squads when he was fit but he has only played once and it was against Murcia – a team that features in the Segunda division – in the Copa de Rey. 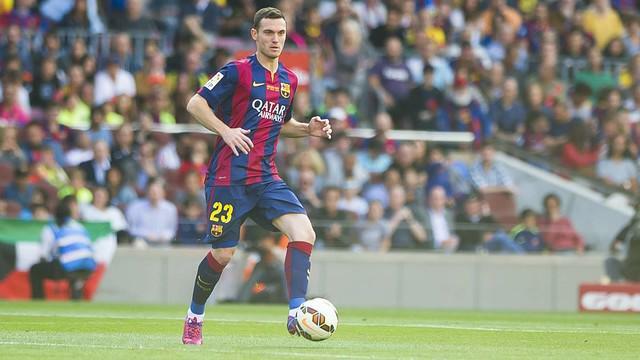 A frustrated Vermaelen was glad that he received game time last week despite his poor club run. He played against Mexico and it should do him some good. He admitted that he was excited at the chance to play, considering that he almost never plays for Barcelona. With the World Cup forthcoming, the player is keen on getting more game time so he would be eligible for selection. Anderlecht are rumoured to be interested in the player so a possible move in the winter window could happen. The player refused to mention his next move to avoid being quoted out of context again. The centre half, who can also play as a full back, has had a terrible career run since exiting Arsenal in 2014. From injury to poor form to neglect, his career seems to have deteriorated. While he might favour a move to Anderlecht, the club would prefer a loan deal before permanent purchase – and this depends on Barcelona.